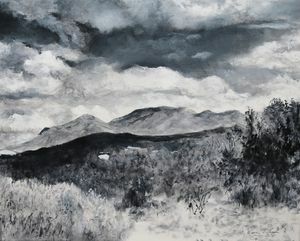 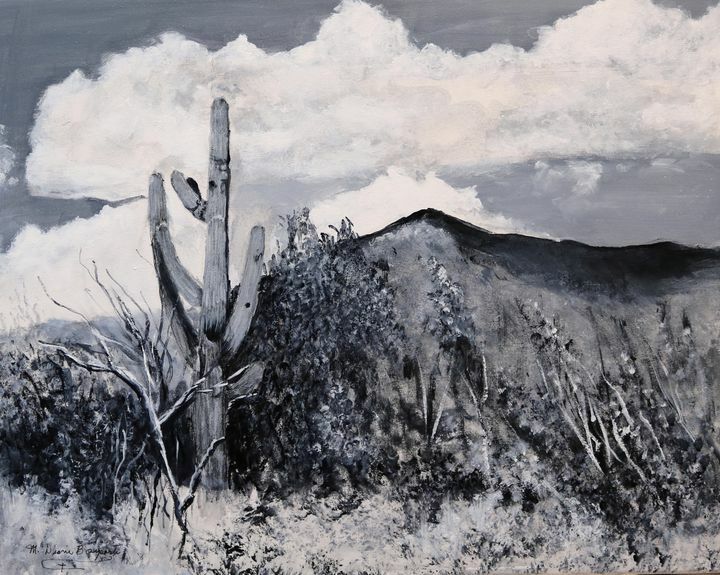 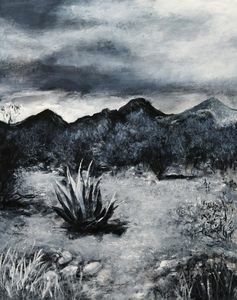 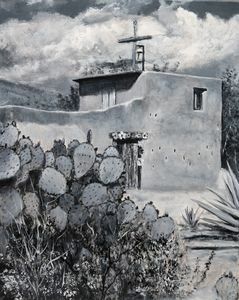 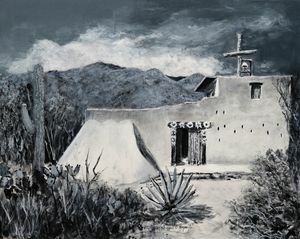 A scene located in Tucson, Arizona and rendered in black and white. 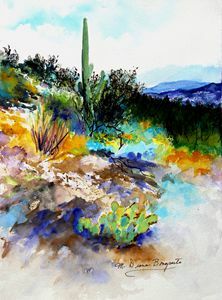 Diane is originally from Chicago, Ill., but has lived in Tucson since 1981. 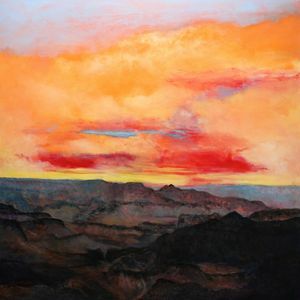 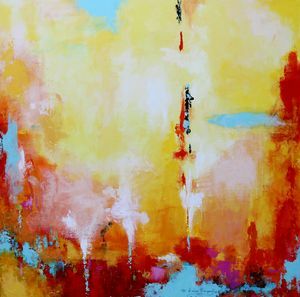 Taking oil painting classes at the Beverly Art Center in Chicago was the beginning of a life long passion, which grew as she experimented with watercolor, soft pastels and acrylics. 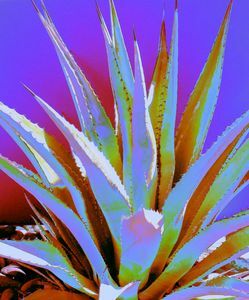 Photography came into play when it was required to photograph paintings for prints and cards, but then became an art in itself. 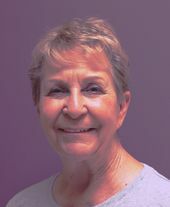 Diane is currently teaching in all mediums twice a week and has art displays in various arias of the city. 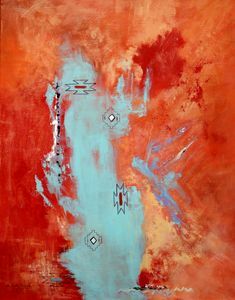 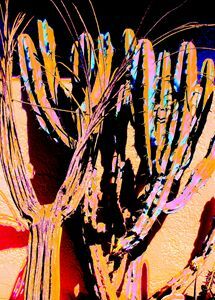 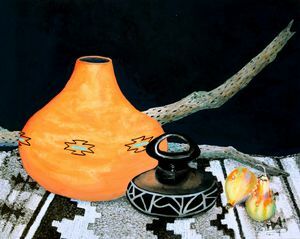 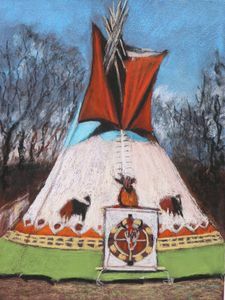 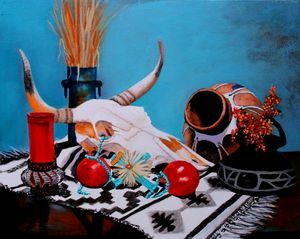 Along with the art work, she also designs Southwest style crosses for the home.